The Batmobile comes in many shapes/sizes, but the Tumbler version from the Dark Knight Trilogy (2005 Batman Begins, 2008 The Dark Knight, 2012 The Dark Knight Rises) is arguably the most utilitarian of the breed -- form follows function. 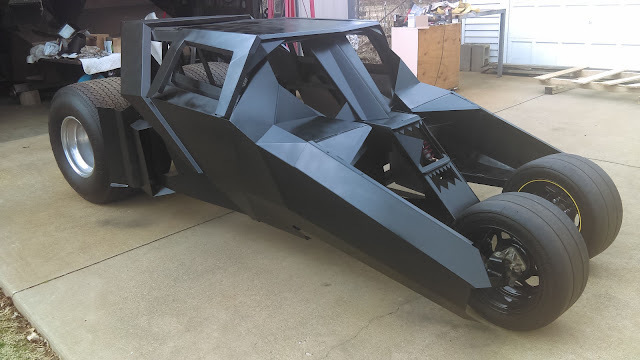 This next feature is a 2/3 scale version of the Tumbler built from scratch with a Kawasaki bike engine in mind -- find it here on eBay with starting bid of $5,000 located in Evansville, IN. 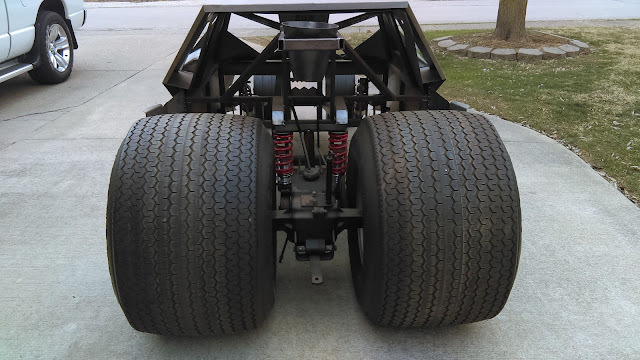 I would describe this build as more of a derivative build instead of a replica, because while it shares the same wacky external external axle steering and general "stance" of the Tumbler, it is much smaller and styled based on the materials available to the builder. You can see a cool video of the real movie Tumbler on Jay Leno's garage here. 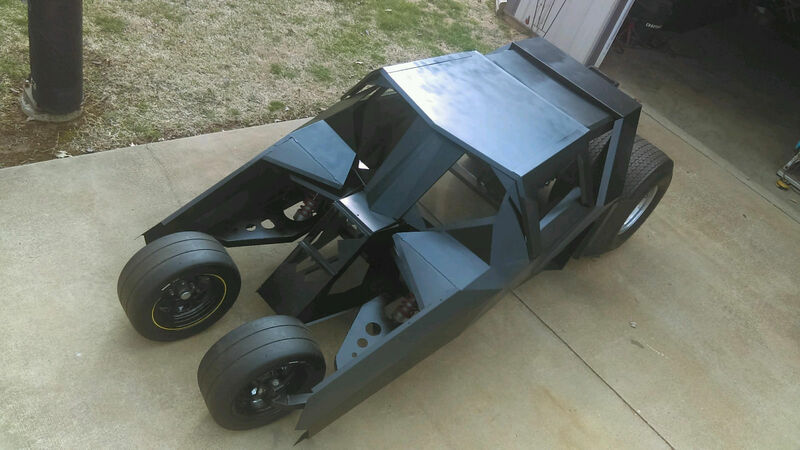 Much of the external frame/body and suspension pieces have been fabricated, but the seller has yet to complete the interior or powertrain -- that is up to the next wannabe Batman. The Kawasaki engine sounds like cool choice, but I'm not sure how much it will enjoy shoving those gigantic rear meats, so you might want to find a way to fit a small block V8 in the back -- perhaps a transverse setup from front drive Buick or Caddy?